Paraiso School of Samba strongly recommends that you use earplugs when you are exposed to high noise levels from the Bateria. If you play or practice in the Bateria - always wear them. Please. Exposure to loud sound can permanently damage your hearing. The damage is mechanical - there is permanant irreversible damage to the special cells which sense sound in your ears. The damage accumulates throughout your life in proportion to How Loud and How Long your exposure is. It's insidious .. you may not notice until it's too late. People's susceptibility varies widely. You may be more sensitive than average and there's no way of knowing. If your hearing becomes dull or there is ringing in your ears ('tinnitus') after exposure to loud sound, this is bad. Whilst both will seem to recover, you will probably have done a small amount of permanent damage...all these small amounts add up over your life. But remember, you may still damage your ears even if you get neither of these signs - and you may get Tinnitus for completely unrelated reasons. Understand the danger (see left side of this page). Reduce the length of time you are exposed. Reduce the sound level to which your ears are exposed. Don't stand too near the Bateria if you are not playing. Use good ear plugs. If you find that you can't hear the music properly with the earplugs we provide for you free at our workshops, invest in a good pair of earplugs designed for musicians which you can buy online in our shop these last for a year or so. It could be the best investment you ever make. Don't forget that any noise exposure at other times (eg in clubs or at work) makes the problem much worse. Follow the advice on the website Don't Lose the Music. A really good idea is to get an audiogram done every few years as this will show whether you are developing permanent damage. A good guide is given by the Noise at Work Regulations which requires action where noise exposure exceeds the equivalent of 80 dBA for 8 hours per day and requires hearing protection to be worn in areas where exposure may exceed 85 dBA for 8 hours per day. For someone exposed to noise for just 4 hours per week (and not going to clubs! ), an equal danger would exist for noise levels of 90 dBA and 95 dBA. At the ears of bateria members playing indoors, a typical LAeq is 115 dB. (maximum levels at the ears of taborim and surdo players are about 120 dBA). 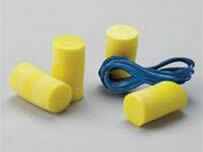 Bateria members must wear earplugs. Those who play for about 4 hours per week should wear earplugs which give at least 20 dB attenuation at all frequencies. The LAeq at some distance from the bateria can be around 100 dB. Whilst this is lower than many clubs, dancers are also advised to wear earplugs, but these need give attenuation of less (say, 10 dB at all frequencies). Paraíso School of Samba é uma instituiçăo de caridade registrada na Charities Commission número 1113593 e Companhia Limitada por Garantia e registrada na Inglaterra e no País de Gales número 5676918. Paraiso Samba Ltd é uma subsidiária integral da Paraíso School of Samba e está registrada na Inglaterra e no País de Gales número 5732752. Paraiso é uma marca registada de Paraíso School of Samba.